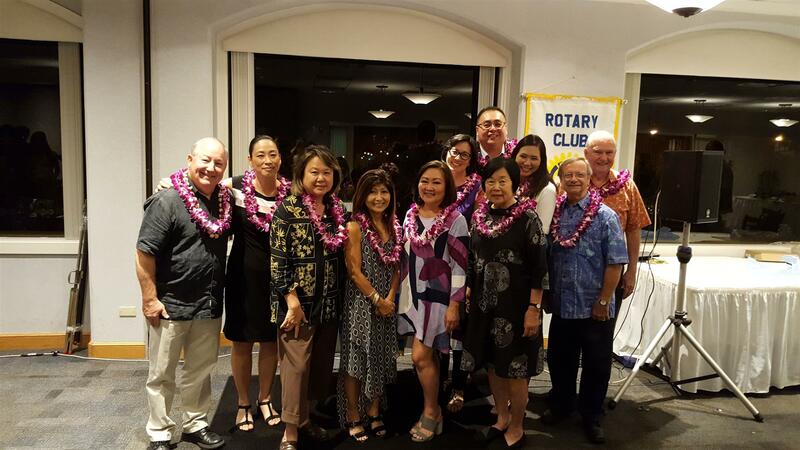 On Friday, June 29, the Rotary Club of East Honolulu together with the Rotary E-Club of Hawaii and the Rotary Club of Diamond Head/Kalmuki celebrated its Change of Leadership ceremony at 3660 on the Rise. The evening started with live entertainment, a delicious buffet, and fantastic fellowship. 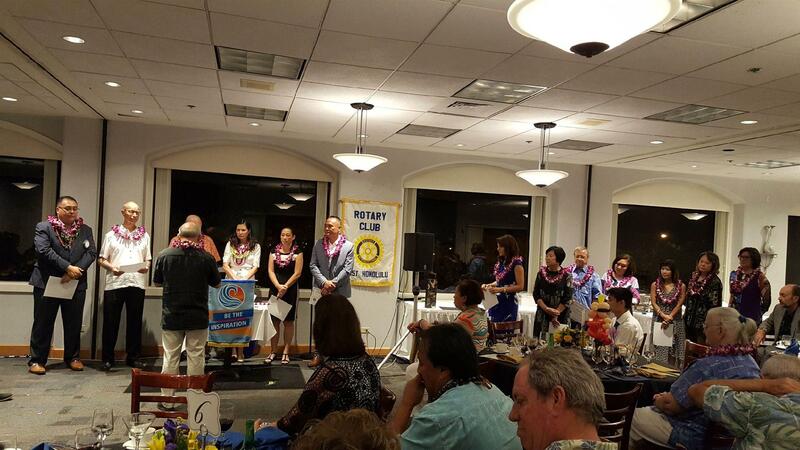 After dinner, Past District Governor Clint Schroeder shared a powerful message to the incoming leadership and introduced District Governor-Elect Win Schoneman to present Lucky Cara with her first Paul Harris pin and to induct all three club’s board of directors and Presidents. A positive and inspirational night was had by all. 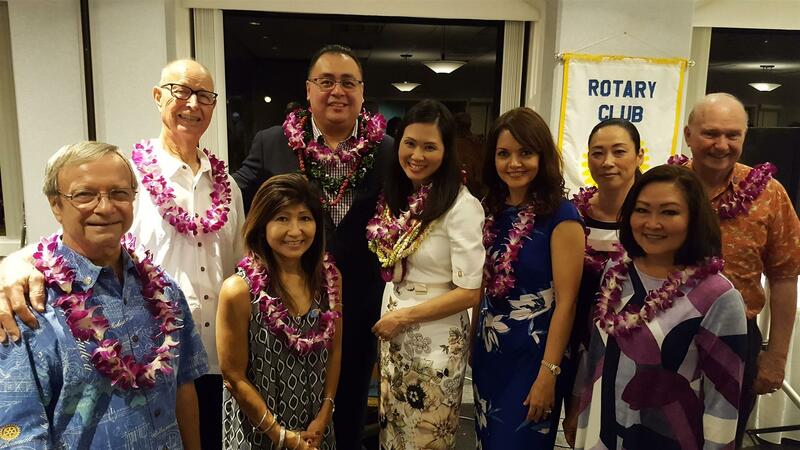 Mahalo to all RCEH club members who joined us and Congratulations to all board of directors and Presidents!